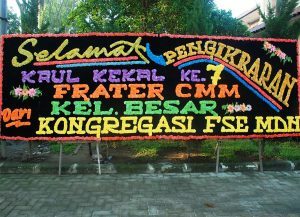 Nowadays, the largest group of Brothers CMM is to be found in Indonesia. The brothers have 19 communities in this country. The Brothers CMM have been present in Indonesia since 1923. They started there with schools on Sumatera (Padang since 1923, and Medan since 1926) and on Sulawesi (Manado and Tomohon since 1924, and Makassar since 1934). It goes without saying that the situation at the schools, and as well in the communities, did change significantly in the course of the past century; however, there still are Brothers CMM present at these locations. In Manado and Tohomon there is now a postulate and noviciate. 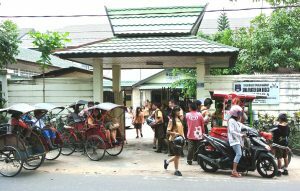 In the university city Yogyakarta we have a boarding facility and a house for studies. Also the provincialate is located in this city. In addition, there are still seven additional islands where we have schools or projects. There are now CMM communities at the following locations: Yogyakarta (Java), Medan, Pematang Siantar, Balige and Aek Tolang (Sumatera), Gunung Sitoli (Nias), Banjarmasin and Tarakan (Kalimantan), Manado, Tomohon, Palu, Ge’tengan and Makassar (Sulawesi), Ambon and Langgur (Moluccas), Lembata (Flores) and SoE (West Timor). Currently there are two Dutch missionaries working in this CMM province, but most of the brothers are from Indonesia. 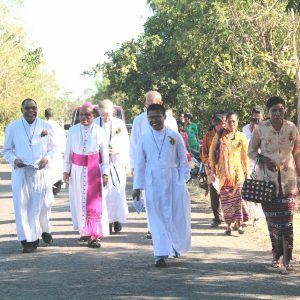 In the postulate and noviciate are also some young brothers from Timor Leste, for the purpose of their religious formation. In Indonesia the Brothers CMM worked in the field of education from the very beginning. The care for schools and boarding facilities was a core activity of the congregation everywhere. And within Indonesia that is still the case; however, there is a rather large variety of schools for which they care. 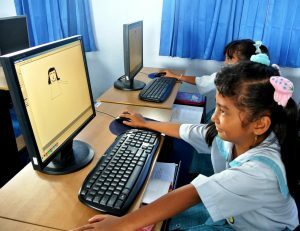 The brothers manage 13 schools in Indonesia, spread out over several locations. Most are secondary schools, often combined with a hostel for the children who cannot go home each day. 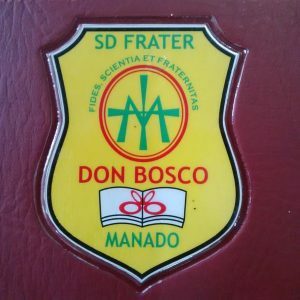 The schools and hostels of the brothers in Indonesia are part of the Don Bosco Manado Foundation, a umbrella body, founded by the Brothers CMM in the fifties of the last century. The motto of the foundation is ‘Fides, Scientia et Fraternitas’, ‘Faith, Knowledge and Brotherhood’. This emphasises the charism and values of the spirituality of the congregation in the area of education. At all schools the brothers work together with a team of lay-teachers: the presence of the brothers is often essential for the building up of a school, maintaining its identity and assuring its continuity. In addition to teaching, also other activities are offered in our schools: we organize catechetical instruction, offer courses to a wider audience, manage a library and support activities in the fields of sports and music. In that way our schools are a center of social, cultural and also religious formation. Besides the educational field, the Brothers CMM also work in pastoral activities of the Catholic Church, administrative work for the congregation, and health care. 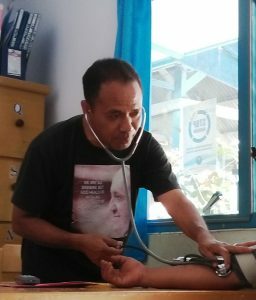 The brothers are in charge of two health clinics: In Aek Tolang (Sumatera) and in Ge’tengan (Sulawesi). The brothers also manage some shops with religious objects, in Ambon (Maluku), Gunung Sitoli (Nias), Medan (Sumatra) and Manado (Sulawesi). There are a number of brothers who work in other institutions, for example under the auspices of the diocese or in schools of other congregations. They work there as teacher, director, nurse, or social worker.